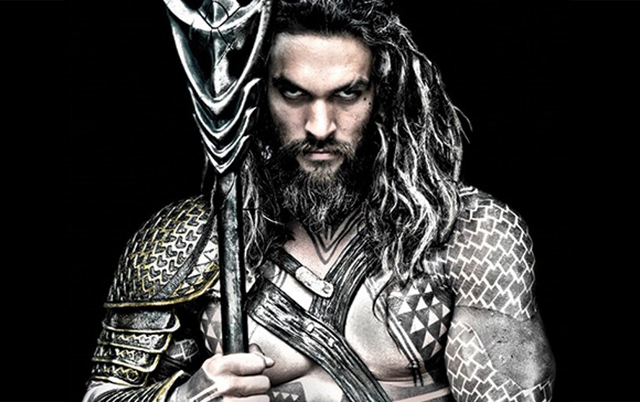 Aquaman is set to begin filming this summer and star Jason Momoa (Game of Thrones) is talking about his role. In an interview with Digital Trends, Momoa spoke about what we’re going to see in the Warner Bros. film, directed by James Wan (The Conjuring). Momoa joked about being teased about playing the role, because the character has often been derided as one of the lesser superheroes in the DC Universe. Aquaman also stars Amber Heard, Patrick Wilson, Yahya Abdul-Mateen II, Nicole Kidman, Temuera Morrison and Willem Dafoe. The character was first introduced in a cameo in Batman v Superman: Dawn of Justice and will next be seen in Justice League on November 17, 2017. Aquaman will hit theaters on October 5, 2018.